Kazade's Internet Address: SEGA Won't Build a Dreamcast 2. But Could We? SEGA Won't Build a Dreamcast 2. But Could We? The SEGA Dreamcast was an iconic console. To many, it is regarded as the greatest console that has ever been released. Since its untimely demise many fans have hoped that SEGA would re-enter the hardware industry and release a Dreamcast 2 - an updated but truely backwards-compatible successor to the original hardware. This is very unlikely to happen. Consoles are expensive, if SEGA did re-enter the game and it was a failure (which is pretty likely) it would probably kill SEGA entirely. 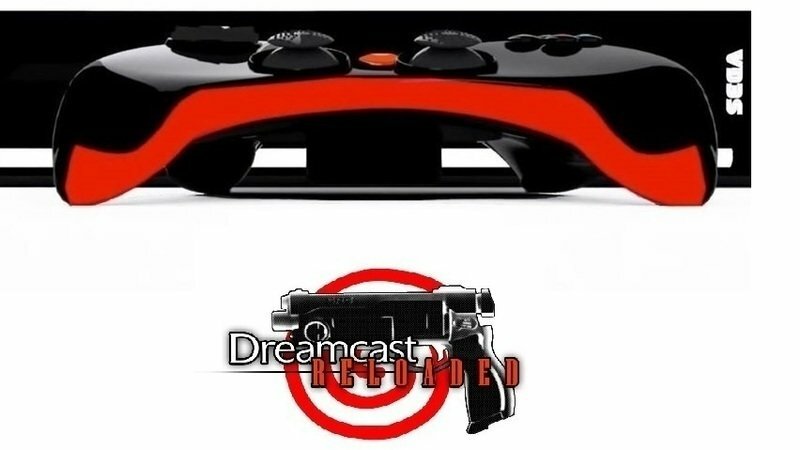 There is however a petition online to design a Dreamcast 2 which would be built-to-order, nullifying much of the risk. This actually isn't a terrible idea. Designing an updated version of the original Dreamcast, with perhaps even the same specifications but with modern connections (LAN vs Dial-up, HDMI vs VGA, HDD vs VMU) probably could be done by a small internal team. The very people interested in this kind of hardware would be willing to pay above the cost of manufacture to own it. SEGA could make a profit on the hardware, and as suggested in the petition, provide an online store for purchasing digital versions of the classic games that already exist. If they opened that store up to indies then that would be a bonus. But still, this is very unlikely to happen. SEGA is primarily a software company now, and most of the team that designed the Dreamcast probably moved on long ago. But that doesn't necessarily mean a Dreamcast 2 couldn't be built. The tools needed for a dedicated community to build a Dreamcast clone (let's call it OpenDC) aren't that far way. The Dreamcast was released at the tail end of 1998. Given that patents only last 20 years in most countries, and that most of the Dreamcast patents (e.g. for the GD-ROM) were patented in 1997, the Dreamcast will essentially be free to clone in a couple of years. There's even better news though. The SH4 CPU which the Dreamcast uses will no longer be patented in 2016 and the Open Processor Foundation is already working on their own version. It's not unlikely that at some point in the next 3-4 years there will be a "J4" system-on-a-chip (SOC) available, it's also probable that any SH4-clone SOC will be higher spec'd than the Dreamcast was, with some kind of OpenGL ES based GPU built in. If an SH4 based SOC was released, the rest of the problems to solve involve software, peripherals and packaging. On the software front, we have a bit of a head start. Linux is free, open source and supports the SH4 architecture. The community would need to build a Linux based OS with a basic graphical launcher, and provide any libraries which the Dreamcast executables call into. It's a fair amount of work, but there shouldn't be anything impossible here. We also already have a free fully featured Dreamcast SDK in KallistiOS, and new games are being released based on it even now. This means that the community could provide an online store for new homebrew games written for the new console. This could be accessed through the OpenDC launcher and download games directly to disk. The biggest issue on the peripheral side is the GD-ROM. This will either have to be custom made when the patents expire, or alternatively, the community would need to develop new firmware for an existing CD-ROM model. Another option would be to forgo the GD-ROM drive entirely, but that wouldn't really fulfil the backwards compatibility that everyone would like. The dial-up modem could be emulated in software. This just leaves the controllers. With 3D printing really taking off now, it's quite probable that over the next few years it will be possible to print electrical connections into plastic. When that happens, 3D printing a case for the console, complete with Dreamcast compatible controller ports would simply just be a case of sending a design to Shapeways. If using old Dreamcast controllers isn't enough, a custom community-designed controller could be made using 3D printing and software like Fritzing. So, even though SEGA may never release another console, a driven and dedicated community following open source practices could build another Dreamcast. We might just have to wait a few more years to see it. You know, I have thought about this a few times. Heck, even being able to add more ram to the DC from the Naomi boards and possibly porting games to it or fooling the hardware into thinking it is running on Naomi would be exciting to see. After all modded Xboxes can run Chihiro games with double ram added so why not some talented modder on DC? I would want that to be the case if not making a new machine was possible. You know aftermarket hardware upgrades like RUF does with Porsche cars or like Treamcast did with Dreamcast. Take original hardware, Overclock it, add double ram, HDMI mod, Bios mod, some ODE unit with full read write ability so we could possibly download games to it over the net? And finally a nicely packaged modern modem/bba hybrid like the MoBand that can play both dialup and BBA games. Oh also gotta throw in the DreamCon wireless controller to stay more relevant in this day as well. This type of gameplay has infinite possibilities, but I tried to find the simplest form of gameplay. The best description I've heard so far about the game is "chill-yet-challenging."